The scheduling feature will allow you to let your viewers know that you are going to do a livestream soon. 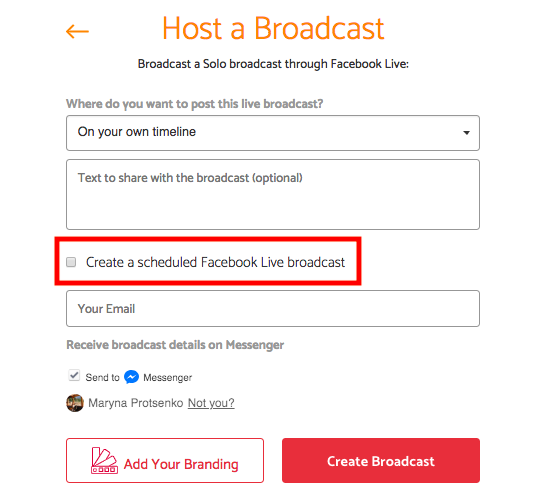 Also, once you scheduled a stream, you will be able to share the link to a specific broadcast wherever you want to increase your engagement. Let’s take a closer look at it! 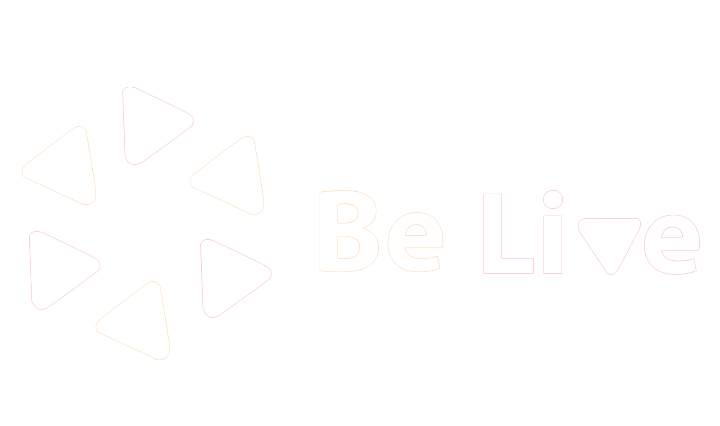 First of all, go to belive.tv and create a new broadcast. You will click on a "Start broadcast" button in the middle of the screen and choose the desired format. Let it be a Solo broadcast this time. It's important to write an informative description, so your viewers know what to expect from your show. Choose the preferred date and time and make sure there is an 11-minute window between the creation and start of your broadcast. Note that the time is displayed in the 24-hour format and also that you cannot schedule a broadcast more than a week ahead. Regarding the time zones, it's something that is fully under control of Facebook. You can find your time zone under the date settings, in my case - it's Europe/Helsinki. 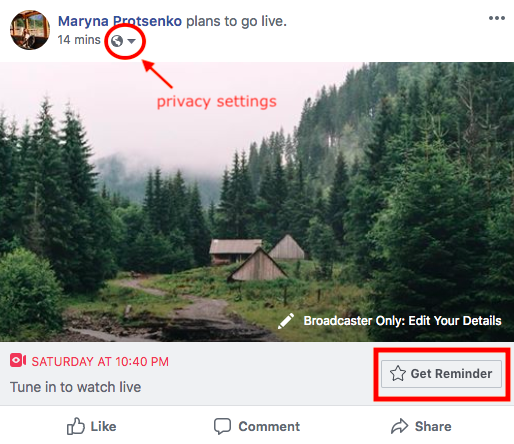 Facebook takes time from the time zone setting on your computer, so your broadcast will always be scheduled in the time zone that is set on the device you use. Beware, that “time zone settings” are different from “time settings”. 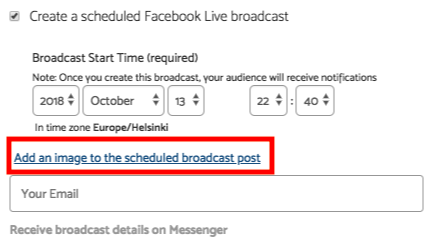 At the same time, each Facebook user will see the time of the post with scheduled broadcast according to their time zone, that’s why the time showed can be different, but it is still the same time. If you are experiencing problems with the time zone on Facebook, the best solution is to go into the “Date and Time” settings on your computer, click “Change Time zone” button, and select the proper time zone for your area. Ready? 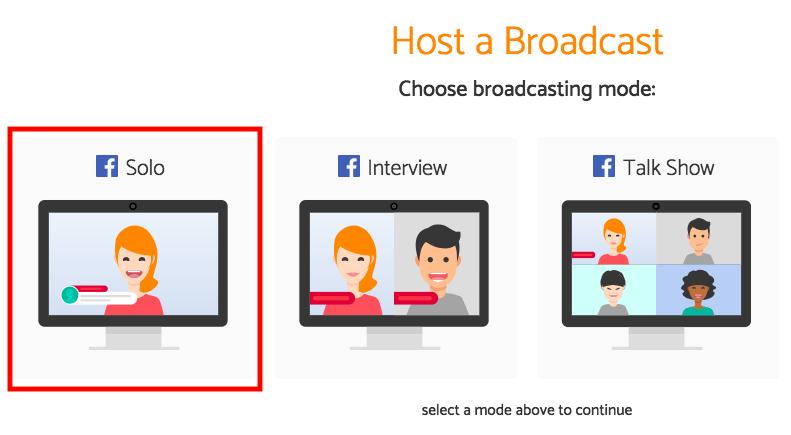 Click "Create broadcast" button to proceed! 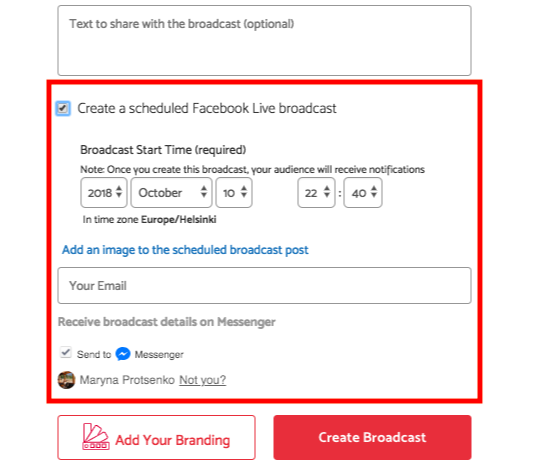 Here is how your scheduled broadcast will look like on Facebook! Make sure your privacy settings are set to Public so that everyone could check out your show! 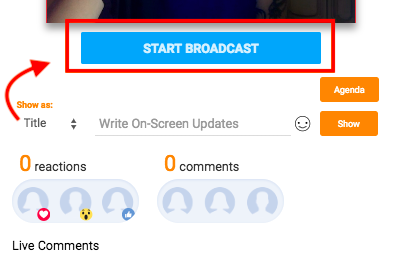 By clicking "Get Reminder" button, your viewers will receive a one-time reminder notification that will alert them shortly before your broadcast begins. The last but not least thing to keep in mind: You are required to start a scheduled broadcast within 10 minutes, otherwise Facebook deletes it. As far as you can see, there is a timer beneath preview window that shows how much time is left until the livestream actually begins. In the meantime, you can set up your camera/mic, prepare agenda items, in Interview or Talk Show even test things out with your guest to be sure that everything works properly. Once the "Start Broadcast" button changed its color to blue - IT'S YOUR TIME TO SHINE! You may also wonder if it's possible to go live in both your page and group. Unfortunately, only one destination must be chosen, but you can always share the post with your scheduled broadcast to any page/group you want. In this case, the stream will be live in both places simultaneously. Remember that comments from the original post only will be displayed in the broadcast studio.